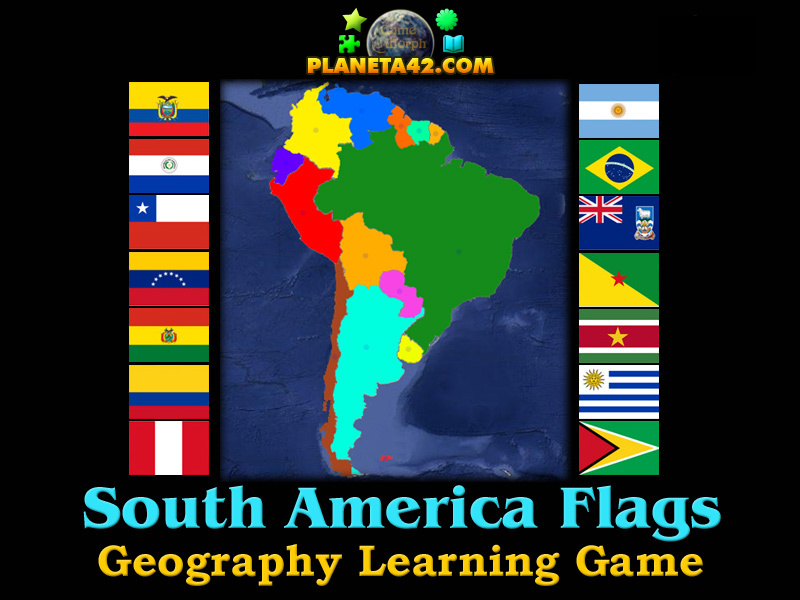 "Flags of South America Quiz" is a small knowledge level game, to study the flags of the countries in South America. Free online game for desktop computers, laptops and tablets, which may be played in the web browser. Learn the banners of major countries in South America. Fun educational geography game, suitable for online lessons and interactive classes. Minute to win it game. How to play Flags of South America Quiz. Select the correct flag among 6 other flags for every given country in S. America. The one who make it with the least wrong tries, is the winner. 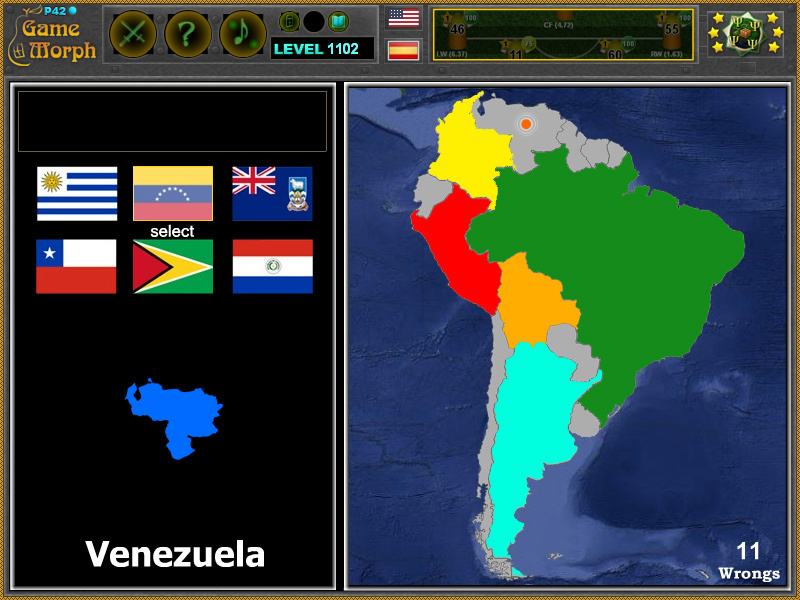 Know at least 3 flags of South America countries and get +1 Knowledge Level. Class subject: Country flags of the South America. In this interactive lesson we study the flags of 14 biggest countries in South America. What is the flag of Argentina	- . What is the flag of Bolivia	- . What is the flag of Brazil	- . What is the flag of Chile	- . What is the flag of Colombia	- . What is the flag of Ecuador	- . What is the flag of Guyana	- . What is the flag of Paraguay	- . What is the flag of Peru	-	 . What is the flag of Suriname	- . What is the flag of Uruguay	- . What is the flag of Venezuela	- . What is the flag of French Guiana - . What is the flag of Falkland Islands - . Labels: Flag Games , Interactive Maps , Learning Games , Geography Games , South America Games , Free Online Games.